What will happen to your minor children if you die? If you’ve got young children, your days are filled with all sorts of activities related to them. You don’t have time for much else, especially not long term planning. However, ask yourself who will take care of your children if you and/or your spouse are not there? What if you’re in a car crash or some other totally unexpected accident and both of you are killed or seriously injured. What if you are a single parent with a catastrophic illness. Where will your children go? Even though a will is a very important part of an estate plan, a critical part of that plan is to specify who you choose to be your children’s guardian when you’re not around. That person will care for your children and be legally responsible for them until they become adults. Don’t you want to leave your children in the care of someone you feel is the best person for the job? If you don’t name a legal guardian, the state in which you live will decide who will raise your children in case you are unable to do so. Do you want judge who doesn’t know you or your children to decide where they will live and who will care for them? It could be a relative you don’t think would do a good job or who doesn’t share your views on how to raise your children. Or it might be someone who is not related to your children at all. Life isn’t predictable and no one knows when the unforeseeable will happen. Protect your children today. 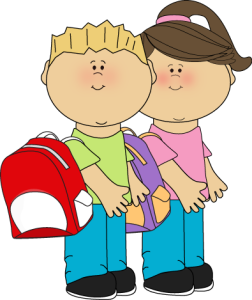 Prepare the legal document that names a legal guardian for your children today. For more information about this subject and other end of life planning, go to our website www.diesmart.com. This entry was posted in Guardian: Minor Child and tagged diesmart, estate plan, guardian, minor children, Probate, probate court, will on July 31, 2016 by Minna Vallentine. 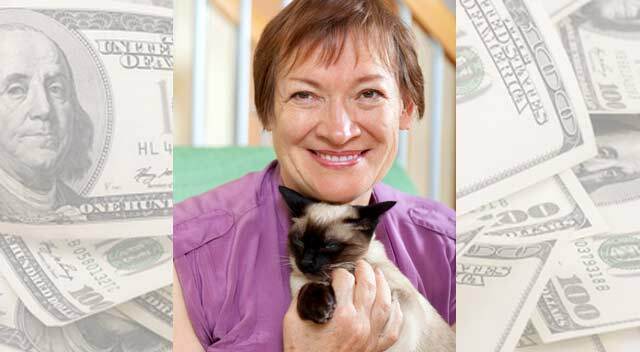 Can Lucky inherit $100 million? Lucky is a Siamese cat and, yes, the cat can inherit! Her kids have tried to have her declared insane and committed to an institution; however, she’s had three independent psychiatric evaluations which have concluded that she is sane. She says her attorneys have assured her that her Will will hold up in probate court if her kids try to challenge it once she’s gone. Meanwhile, Lucky will continue to live in Lucille’s home with a staff of 40, a limo and chauffeur and a private aviary so Lucky can have fun catching and eating birds! This may sound ridiculous but it does point out the importance of figuring out what you want to have happen to your assets when you’re gone, and documenting those wishes so that they will be carried out…even if they are unusual. To find out more about wills and planning for the end of your life, go to www.diesmart.com. This entry was posted in Estate Planning and tagged diesmart, Probate, probate court, trust, will on November 8, 2015 by Minna Vallentine. Probate – More public than ever! Do you want everyone to see the details of your estate? If not, you should think about meeting with an attorney and preparing a trust. That way, everything will be confidential. For more information about wills, trusts, probate and estate planning, go to www.diesmart.com. This entry was posted in Estate Planning, Probate, Wills vs Trusts and tagged diesmart, Probate, probate court, trust, will on September 20, 2015 by Minna Vallentine. I came across this blog that was written by Julie Ann Garber, J.D. last year. It had such good information that I decided to re-post and share it with you. Many people struggle with all of the decisions that they have to make when putting together their estate plan: Who should get what? When should they get it? Who shouldn’t get anything? Who should be the executor? Who should be the trustee? All of these decisions can be overwhelming, even for someone who has what is considered a “normal” family, but they don’t have to be. In the wise words of Jerry Cantrell of Alice in Chains, it’s your decision. Tip #1 – Don’t be afraid to disinherit someone. It’s your money, so you can choose to leave it, or not leave it, to whomever you want. But beware – being bullied into making your estate plan a certain way by a certain individual and not the way you really want it (for instance, leaving everything to one child to the exclusion of others at the insistence of that one child) will result in family discord. If you really want to disinherit someone, then that’s your prerogative, but if someone bullies you into disinheriting someone else, then in extreme cases this could amount to “undue influence” and lead to an ugly will or trust contest. If you truly want to disinherit someone, then work closely with your estate planning attorney to insure that not only will your final wishes be carried out, but your plan will be bullet proof from challenges. Tip #2 – Choose your executor and trustee wisely. Here are the traits you should look for in your executor and trustee: loyal, fair, practical, trustworthy, organized and tough. If you choose a person who has most of these traits, then your final wishes will be fulfilled, but if you choose a person who has only one or two of these traits, then your final wishes will take a back seat to their own agenda. Better yet, choose a corporate trustee, such as a bank or trust company, to put these important jobs in the hands of professionals. Otherwise it may be way too easy for Uncle Bob to skim some off of the top or for your loved ones to convince Uncle Bob to disregard your wishes. Tip #3 – Listen to your estate planning attorney. While a good estate planning attorney will listen intently so that he or she can learn about your greatest concerns and challenges when it comes to planning your estate, you should also listen to your estate planning attorney because he or she can offer some good advice and solutions to ease those concerns and overcome the challenges. And while sometimes what your estate planning attorney says may not be what you want to hear, your attorney’s advice, which comes from years of experience in similar situations, may very well head off a family feud or a will or trust contest. This entry was posted in Estate Planning and tagged diesmart, Estate Planning, executor, inheritance, Probate, probate court, Trustee on August 16, 2015 by Minna Vallentine. Bobbi Kristina had no will – what happens now? Whitney Houston and Bobby Brown’s daughter, Bobbi Kristina, died on Sunday, 7/26/2015. She was only 22 years old and probably had no plans to die so young. She had done nothing to prepare for death and had no will. When Whitney Houston died in 2012, she left her entire estate to her daughter. That estate was worth more than $20 million. Because of her grandmother’s fear that Bobbi wouldn’t be able to handle so much money at such a young age, she challenged the will and a court ruled that the money could be given to Bobbi in increments. Although the bulk of her inheritance was not supposed to be given to her until her 30th birthday, she had received approximately $2 million when she turned 21. Her father is her next of kin and so, according to the law, will inherit the money she had already received. However, since he was divorced from her mother, I’m sure Whitney Houston would not have wanted any of her money to go to him. The balance will probably go to Whitney’s mother, Cissy, who is 81 and her two brothers, Michael 53 and Gary 57 since they are Whitney’s closest living relatives. Because of the number of people who would like to receive some of these millions, this case will probably go through a long court process before anything is definitively settled. Is this what Bobbi Kristina would have wanted? We’ll never know. Have you written a will, designating what you want to happen to your estate when you die? Do you want the law to make the decision for you? You could die suddenly at age 22 from what may or may not be an accident like Bobbi Kristina or at 90 or 95 from a heart attack or lingering illness. If the answer to either of these questions is no, you should draft a will immediately and name those people who you want to receive your assets as well as things meaningful to family members like your mother’s jewelry and your dad’s artwork. You can find a form for a simple will on the web or, for a more sizeable estate, can meet with an attorney to have one drafted soon. Otherwise, in addition to the law deciding for you, it will make things harder for your surviving heirs. For more information, go to www.diesmart.com. This entry was posted in Dying Without A Will, Estate Planning and tagged diesmart, dying without a will, inheritance, Probate, probate court, trust, will on August 2, 2015 by Minna Vallentine.